Joseph Mallord Willam Turner was born in Maiden Lane, CovetGarden, London, England. He was a British Romantic landscape painter, watercolourist and printmaker. Though he was famous for his oil paintings, Turner was also one of the greatest masters of watercolor landscape painting. Besides, he was commonly known as "the painter of light"and his paintings was recognized as a Romantic preface to Impressionism. What’s more, some of his works are cited as examples of Abstract Art. 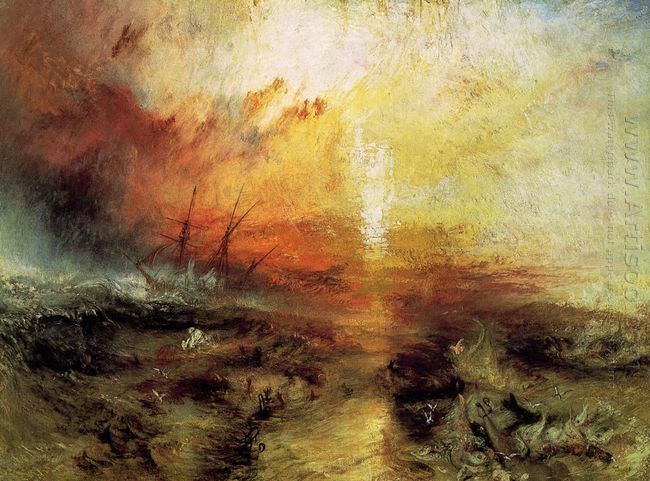 Actually, Turner was regarded as an artistic genius. He did depicted a series of watercolor sketches: natural catastrophes, and natural phenomena such as sunlight, storm, rain, and fog. What was fascinated was about the violent power of the sea, like Dawn after the Wreck and The Slave Ship. 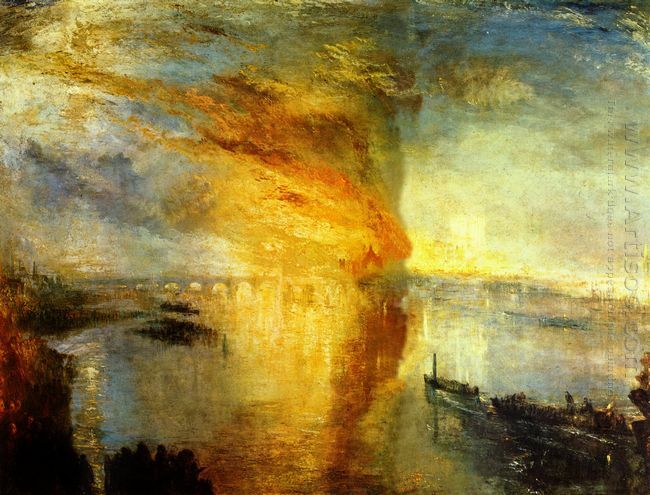 Since Turner was known as the painter of light, we can see many of his paintings were painted by using main light with main subject which would help express the main idea of the work. As in Storm Seam Boat Off A Harbour's Mouth Making Signals In Shallow, the bright and highly concentrated light was shining the boat which was holding in a heavy storm. From the light reflected by sea water, we can feel the strong wind and heavy storm; we can feel how fierce the storm is; we can see how dangerous a boat shipped on this bad weather; we can see what natural catastrophes like. 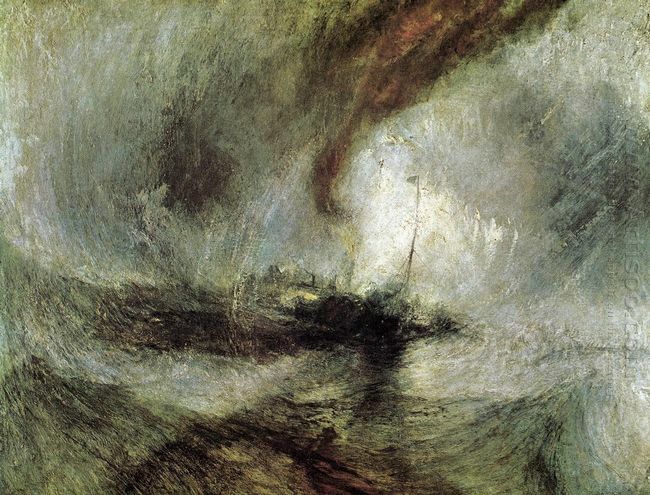 That’s Turner’s distinctive style of painting --- he used watercolor technique with oil paints to created lightness, fluency, and ephemeral atmospheric effects. 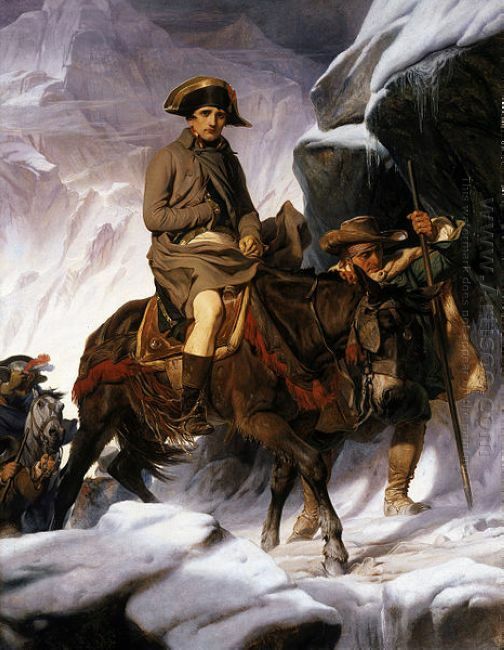 On the evening October 16th 1834, the home of the Parliament of the United Kingdom--the Palace of Westminster ..
Napoleon Crossing the Alps is an oil painting on canvas by French artist Hippolyte Delaroche during 1848-1850. It .. 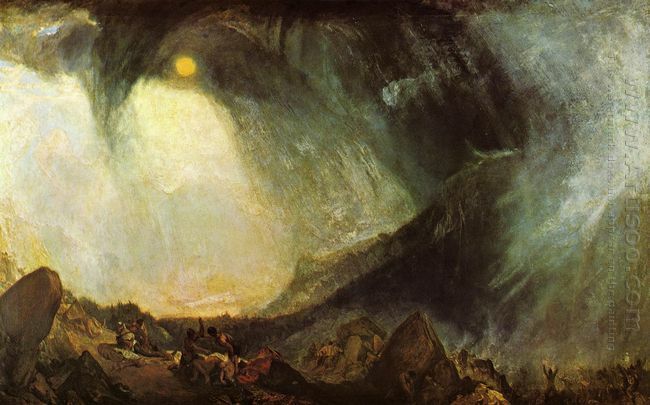 Snow Storm: Hannibal and his Army Crossing the Alps is an oil painting by Joseph Mallord William Turner .. 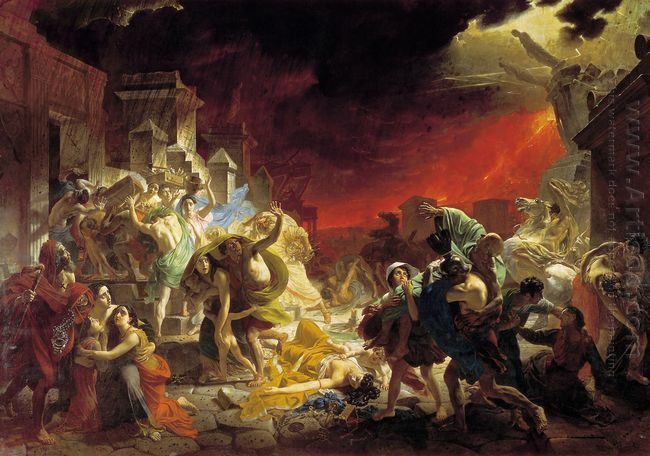 The Last Day of Pompeii is a masterpiece of Russian artist Karl Pavlovich Bryullov who is regarded as .. This entry was posted in Oil Painting, Romanticism Painting and tagged Joseph Mallord William Turner, Romanticism, Seascapes. Bookmark the permalink.